Everything becomes a little lighter and brighter in the spring, including our meals. At this time of year, we tend to grill more often. 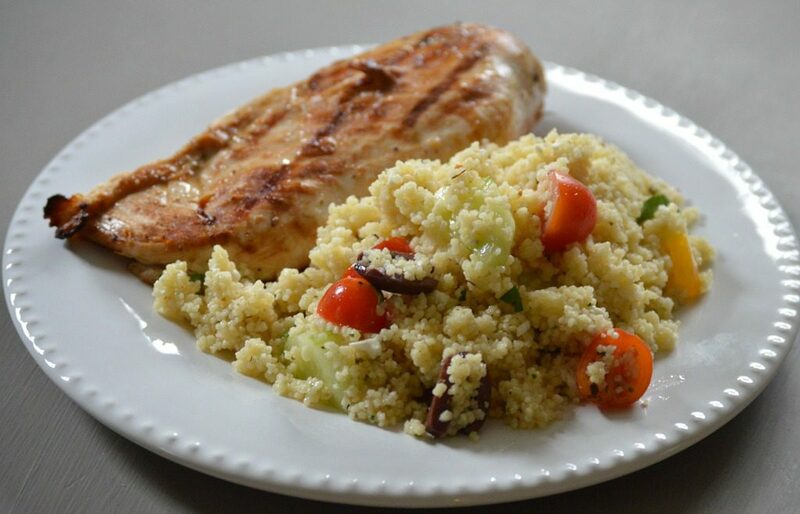 This simple couscous salad pairs well with grilled chicken, shrimp, or steak tips. I love the combination of flavors found in this salad. The roasted garlic couscous mixed with vegetables, feta cheese, and Greek dressing make a perfect blend. 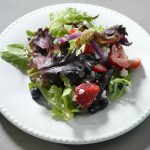 It’s delicate balance of flavors make this salad simply delicious. My family and I have enjoyed this colorful salad for many years. 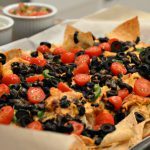 It comes together so easily and quickly and is perfect to serve to a large crowd or as part of an everyday meal. 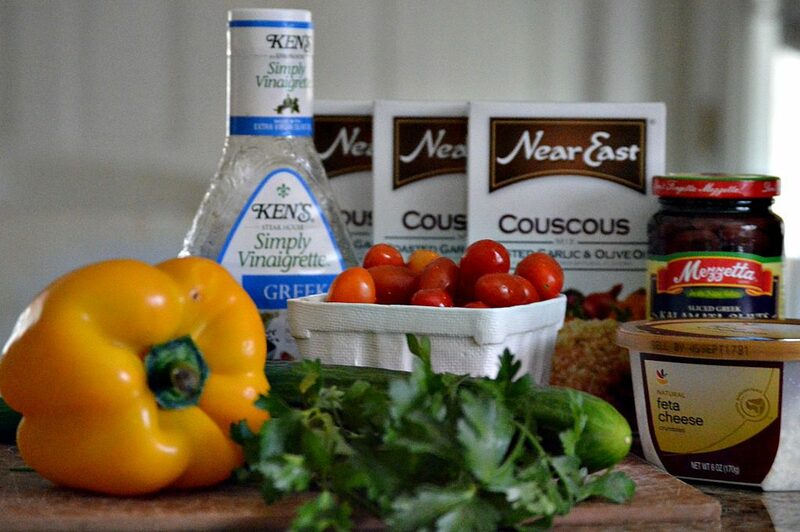 For this recipe, you will need 3 boxes of Near East Roasted Garlic and Olive Oil Couscous, a cucumber, grape tomatoes, a sweet yellow pepper, feta cheese, Kalamata olives (pitted and sliced), and Greek Salad Dressing (We like Ken’s). Begin by making all three packages of couscous in a large covered pan. This cooks up in just five minutes. 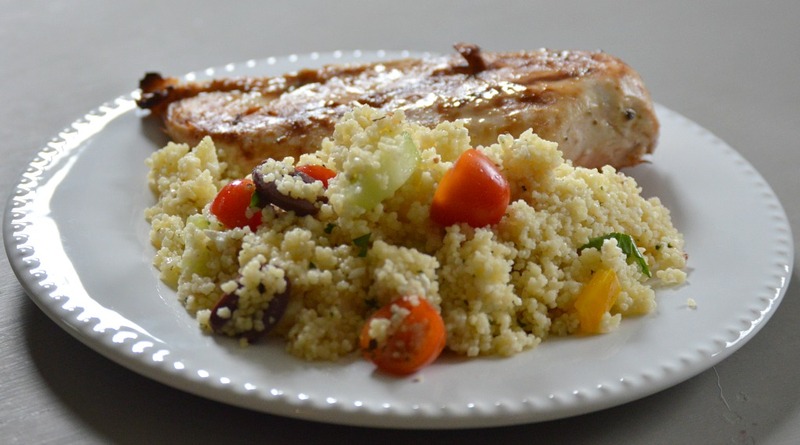 After it is cooked, fluff the couscous with a fork and allow to cool completely. While the couscous is cooling, prepare the remainder your ingredients. Peel and chop the cucumber, slice the grape tomatoes, and dice the pepper. Have crumbled feta cheese, pitted and sliced Kalamata olives, and fresh chopped parsley all ready. Once the couscous has cooled, add the vegetables, olives, feta cheese, and parsley. 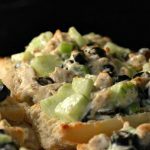 Gently mix together all of the ingredients and then toss with Greek dressing. 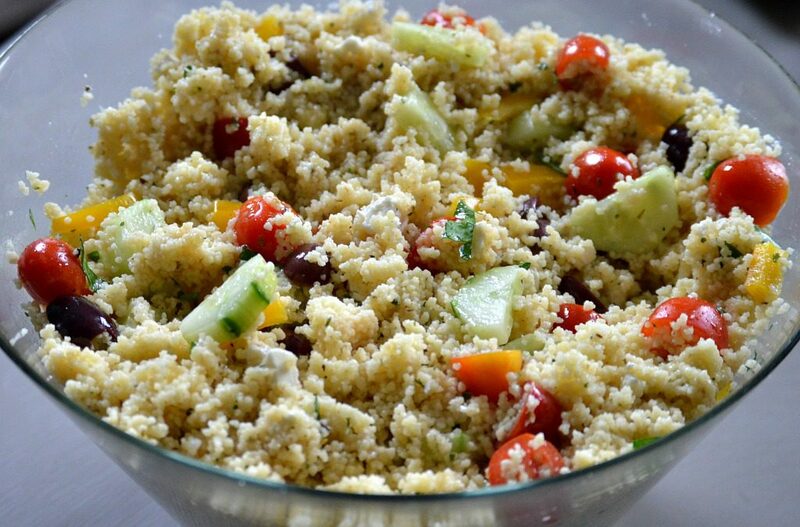 Enjoy this tasty Mediterranean couscous salad! You can make this dish ahead and keep it chilled until serving. What are some of your favorite salads to enjoy at this time of year? This light, colorful couscous salad has a delicate balance of flavors that pairs well with grilled shrimp, chicken, or steak. Begin by preparing the couscous according to package directions. This couscous cooks up in just five minutes. Set aside to cool. While the couscous is cooling, peel and chop cucumber. Chop pepper and slice the grape tomatoes. When couscous is cooled, put it into a large bowl and fluff with fork. Add vegetables, olives, feta cheese, and parsley. Gently mix. 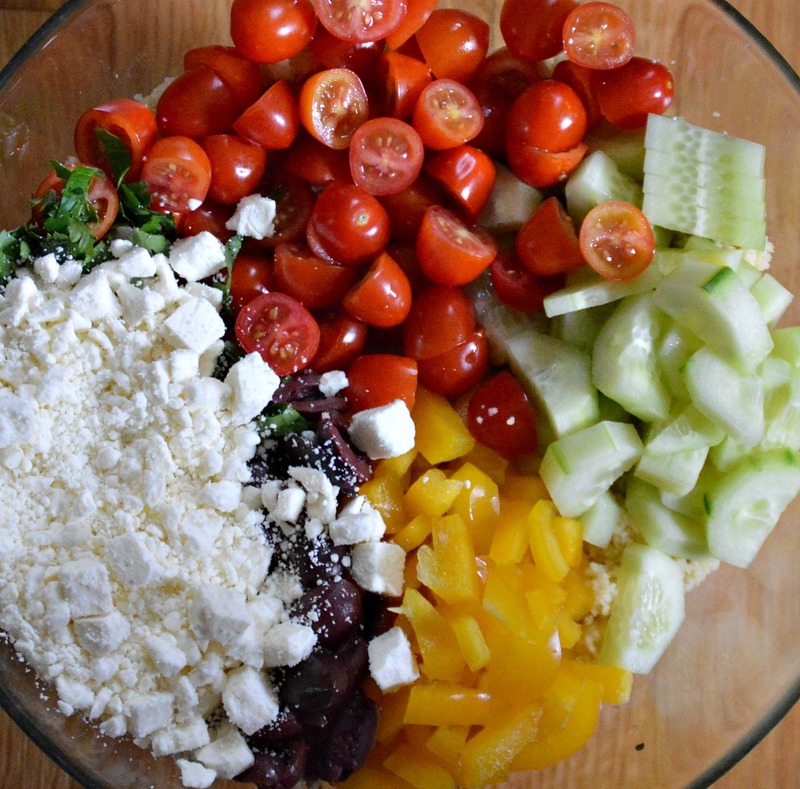 Toss with Greek salad dressing. You can make this salad ahead. Chill salad until it is served and enjoy! What a perfect salad! I love the Mediterranean flavours you’ve added. Thanks so much for joining the My Monthly Loves link up. I hope to see you there again next month! 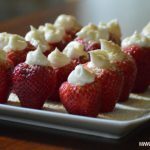 Thank you, Tara, for hosting such a fun link up! Thank you for your kind comment. Best wishes for a wonderful weekend! 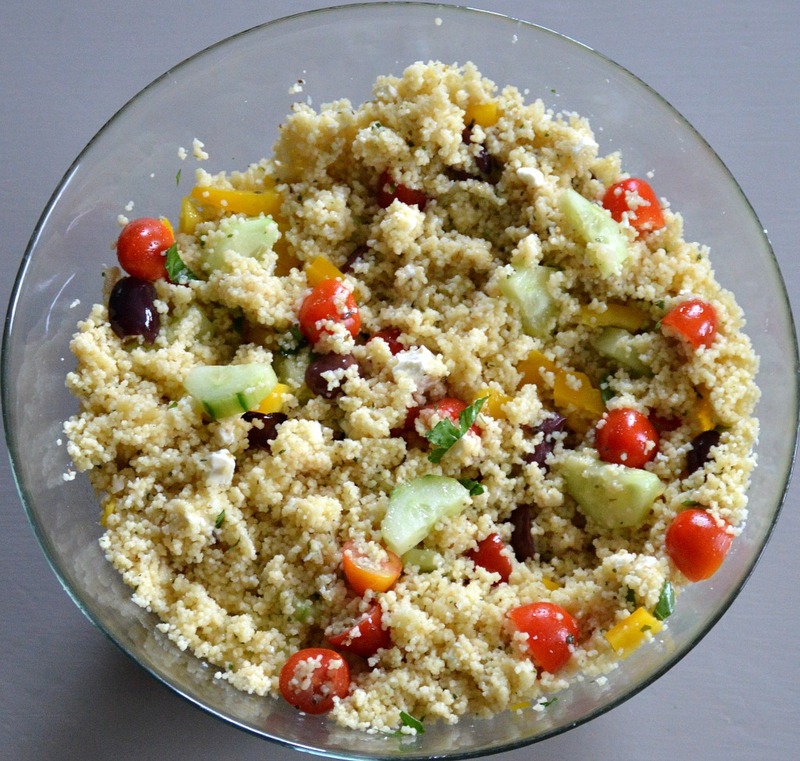 I have a couscous salad I often make but it’s much more complicated and heavier. this sounds perfect for spring and summer. and much easier. Thank you for your kind comment! I hope you enjoy this recipe. Best wishes for a wonderful weekend! I love salads like this. And it’s so pretty! Thank you so much for your kind words, Cathy! I hope you give this recipe a try. Enjoy a beautiful weekend! Your recipe is making me hungry. This is going on my list to make. Thanks so much for linking to TADA! This looks delicious Lynne! We are lightening up over here too as the weather starts to warm up. I am definitely going to try this, we have never had couscous. Thank you for joining us this month for Create and Celebrate! 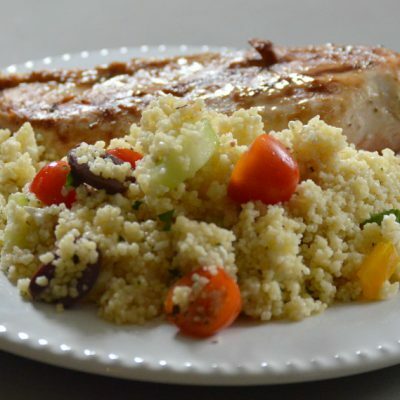 Couscous add variety to the everyday side dishes. This recipe looks exceptionally good Lynne.